From the day the first McBeth-to-Discraft rumors popped up on the internet, this offseason was the most interesting in the history of professional disc golf. Now, with the Las Vegas Challenge, The Memorial, and the Waco Annual Charity Open in the books, it is also history. Paige Bjerkaas, Calvin Heimburg, Eveliina Salonen, Eagle McMahon, Catrina Allen, and Paul McBeth have trophies, and a bunch of disc golf YouTube channels have new content. The channel with the most on the line is undoubtedly the one dedicated to the Disc Golf Pro Tour. In a move that surprised many, DGPT head Steve Dodge stepped inside the Smashboxx on November 13, 2018, to announce that he was firing the only endemic producers of live tournament coverage: SmashboxxTV. When the FPO feature card teed off at The Memorial, we finally got to see what the new DGPT media plan would bring. Hey, Pete Campbell, how did that go? 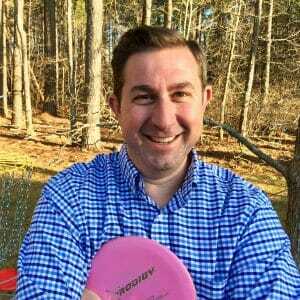 In interviews since he announced the switch to in-house media, Dodge has stressed that he made the change in order to guarantee the financial viability of the Disc Golf Pro Tour. According to Dodge, the vast majority of consumers take in the DGPT through post-produced videos, not live coverage. These videos, largely produced by JomezPro and CCDG in past seasons, brought zero revenue to the tour. In order to keep the DGPT viable, Dodge believed that he needed to change that equation. Likewise, the PDGA National Tour has recently begun protecting its turf. Prior to the Las Vegas Challenge, tournament director Jeff Jacquart informed Dynamic Discs that the company would need to pay $5,000 to film “non-round coverage” during the event. The fee, while steep, was required because Innova had provided over $100,000 worth of sponsorship, according to Jacquart. He wanted to make sure that other companies didn’t free-ride off of Innova’s commitment. I do not doubt that Dodge’s and Jacquart’s assessments are correct. They are on the ground, looking at the books and doing the math. If the monies in aren’t more than the monies out, they’ll end up like Jussi Meresmaa. Despite all of Jussi’s contacts, vision, and backing from Innova, the Disc Golf World Tour could not meet its financial goals and folded after just two years of operation. It would be tragic for those of us who love professional disc golf to see the DGPT fold as well. While Steve Dodge hasn’t mastered video coverage, he has brought new cohesion and dollars to the professional scene. So it’s not the quality of the DGPT tournament coverage that I’m concerned about. Instead, I’m worried that moving media in-house signals that the DGPT is going the way of the North American Soccer League. Instead of New York Cosmos, Steve Dodge should be thinking D.C. United. We need single-entity pro disc golf. As the third round of The Memorial was finishing up in Arizona, FC Cincinnati was kicking off its first Major League Soccer season with an away game against the Seattle Sounders in front of 39,011 fans. MLS is now a staple in American sporting life, but it was not at all clear that professional soccer could flourish in America at the time the league was founded. Ever other attempt had failed. The predecessor to MLS is the now-infamous NASL. The league began play in 1967 with 17 teams, but the finances were such a disaster that only five teams chose to carry on for a second season. The league managed to stay afloat, however, and expanded in each of the next four years. By 1975, there were 20 teams and CBS was broadcasting the league’s championship match. The downside was that only seven teams averaged more than 10,000 fans per game. But on June 10, 1975, Pelé signed with the New York Cosmos. To say that Pelé was famous is silly. As a former actor once said, “My name is Ronald Reagan, I’m the President of the United States of America. But you don’t need to introduce yourself, because everyone knows who Pelé is.” Five days after he signed, Pelé made his debut for the Cosmos, and 10 million Americans turned on CBS to watch. Two years later, the Cosmos signed German great Franz Beckenbauer and proceeded to average 40,000 fans per game for the 1978-1980 seasons. The league also expanded to 24 teams. But the good times could not keep rolling. Forced to keep up with the Cosmos, NASL owners were spending 70% of their revenue on salaries as they brought in high-priced international stars. In 1981, every single team in the league lost money. The league shrank to 14 teams in 1982. By 1985, it was out of business. Eleven years later, I joined 25,262 other fans to witness the first Major League Soccer game at Ohio Stadium. Brian McBride, the #1 overall selection in the inaugural MLS college draft, scored twice as the Columbus Crew defeated D.C. United 4-0. While McBride would become the unquestioned star of the early Crew teams, the club also trumpeted the pedigree of an “allocated player” by the name of Theophilus “Doctor” Khumalo. Doctor Khumalo was one of 40 top-line players that MLS assigned to its 10 founding teams, four players per team. They ranged from the eminently recognizable—the Tampa Bay Mutiny sold wigs celebrating the blond mane of 1987 and 1993 South American Footballer of the Year Carlos Valderrama—to the absolutely anonymous—I had never heard of Div. III legend Dan Calichman despite the fact that I would be a freshman at his alma mater, Williams College, four months after McBride’s season-opening brace. This allocation process was part of MLS’s “single entity” system, which gave control of players and contracts to the league, not individual teams. Imagine that the NBA got to place Zion Williamson on whatever team it wanted (the Knicks, duh), and that’s what early MLS life was like. In fact, while MLS has relaxed some of its single entity restrictions over the years, the league still does not have pure free agency. The single entity system was both a reaction to the excesses of the NASL and a necessary distribution model for players. At one point early in MLS history, nine of the 12 league teams were controlled by Lamar Hunt and Phil Anschutz. It was unrealistic for those owners to work against themselves, so the players were signed by the league and then assigned to a team based on a formula known only to MLS executives and, probably, Hunt and Anschutz. While the efficacy of this system has decreased as the league’s popularity and viability has increased, there is no doubt that the single entity system helped MLS stabilize in those formative years. American soccer didn’t need another wildly popular soccer team. It needed a widely popular soccer league. This is exactly the place in which professional disc golf finds itself. Professional disc golf has, essentially, two owners: the PDGA and the DGPT. Supporting those two entities are disc golf equipment manufacturers and disc golf media providers. We have already seen what happens when one disc golf company throws money behind one tour. I’d rather not see what happens when another tour decides to go it alone. Before I get into specifics, let me be clear about what truths I hold to be self-evident. I believe that Steve Dodge has fundamentally changed the landscape of professional disc golf for the better. I believe that the DGPT is an awesome idea and was implemented at the correct time. I believe that without Steve Dodge, this article, this website, and these arguments might not exist. I also hold self-evident the following: Steve Dodge over-promises and under-delivers. Steve Dodge is bad at public relations. Steve Dodge wants the DGPT to be the one tour to rule them all. Professional disc golf is too fragile to grow without support from all sides. The DGPT hasn’t reached the heights of the New York Cosmos, but we cannot let it disappear. Therefore, I’m proposing a single entity structure to bring all of the forces of professional disc golf to bear on one unified tour. 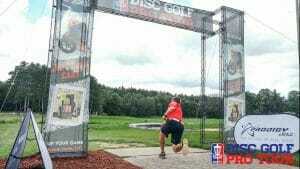 The best way to accomplish this goal is for the PDGA to buy the DGPT. This move, executed correctly, would complete the efforts toward cohesion and professionalism started by the National Tour and advanced by Dodge and Meresmaa. The PDGA would then run a 20-event professional tour for MPO and FPO players that started in Las Vegas and ended with the United States Disc Golf Championships. Each stop on this tour would feature live coverage and post-produced videos. At the outset, the PDGA would control all branding, scheduling, advertising, and content distribution for the new schedule. As the tour matured, the single entity structure would be gradually loosened. The goal, as with any successful sports leagues, would be for the PDGA to host events while media teams, spectators, and companies pay to watch, advertise, and be associated with the Pro Tour. As we have seen with Dodge and the DGPT, though, the devil is in the details. Many questions naturally arise. The first of these: How does the PDGA pay for this? My answer is through mild increases in PDGA membership rates and through PDGA Pro Tour cards. At the end of 2017, there were 41,067 active members of the PDGA. Of those, 4,699 were professionals in the MPO and FPO divisions and 3,750 were professionals in other divisions. That left 32,618 active amateur members. If the amateur membership fee were increased from $50 to $60 per year, that would raise an additional $326,180. If the professional membership for non-Open players were raised from $75 to $80 per year, that would mean an additional $18,750. If the membership fee for MPO and FPO players was raised from $75 to $100 per year, the PDGA would have $117,475 more to spend. Finally, the 10-event Tour Pass for the 2019 DGPT cost $2,250, or $225 per event, and National Tour stops charge $250 for MPO and FPO registration. If 50 MPO and FPO players would pay $4,000 each for a card on the 20-event PDGA Pro Tour, that would raise $125,000 more than what those players are paying for the six NT events in 2019. All told, these additions would yield $587,405. That figure does not account for increases in membership over the last year. It is not hard to imagine that the PDGA could raise an additional $600,000 per year from fees to use for purchasing and running the PDGA Pro Tour. A second question: How does the PDGA, an organization with 15 staff members listed on its website, manage the expansion from six NT events to 20 Pro Tour events? The easy answer is to integrate current DGPT staff into PDGA operations. 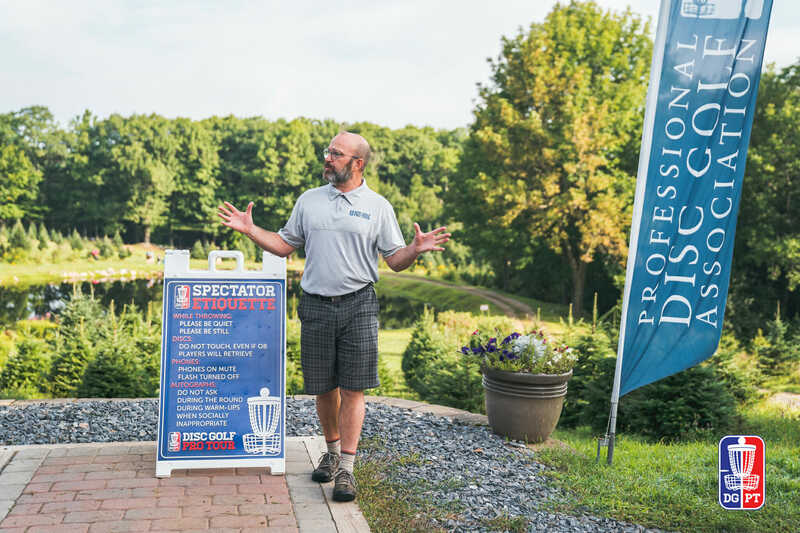 While the Pro Tour would represent a tiny percentage of the total official PDGA events in any given year, it cannot be run by volunteer tournament directors the way most non-tour events are. The DGPT has six staffers under Dodge’s supervision: a partnership director, PR director, operations manager, social media manager/event liason, UDisc director, and editor/writer. The UDisc director, Matt Krueger, is already working with the PDGA. The PDGA also employs Steve Hill as a Communications Manager, so it is unlikely that both an additional social media manager and editor/writer would be required. That leaves four people who could be folded into the PDGA’s current operation. One would be an additional media/writer/communications person to help cover the Pro Tour and bring additional coverage to significant A and B tiers around the country. Another would be a Tour-specific marketing person (currently Sean Jack) reporting to Director of Marketing Mary Sicard. The two remaining positions could be operations and event managers working as part of a new Pro Tour department reporting to Director of Operations Mike Downes. Who would head this department? One option is current Tour Manager Andrew Sweeten. The other, obviously, is Steve Dodge. Before the current DGPT season began, I would have argued that bringing Dodge into the PDGA to run the Pro Tour was a no-brainer. He is a visionary. The DGPT began with five events and a tour championship in 2016. This year it will feature 10 well-placed tournaments across the county in addition to the finale. It has succeeded where the DGWT failed and expanded while the National Tour has not. And yet…Dodge defended his decision to cut out JomezPro by saying in an interview that the DGPT would “be able to develop new and innovative media that disc golf has never seen.” Whatever innovation is coming, it seems a long way off. Dodge also seems unable to estimate shipping times (whether for camera batteries or commentary backdrops), anticipate how video compression affects video quality, or time his announcements to maximize hype and minimize awkward media appearances. Whether he is stretched too thin or bad with words, he has appeared unprepared and defensive in recent weeks. Putting him in charge of 20 tournaments instead of 11 is unwise, but the other leaders and support staff of the PDGA can mitigate his flaws. Therefore, I would recommend making Sweeten and Dodge co-managers of the tour, each responsible for 10 tournaments. Dodge has made mistakes, but he would bring immense knowledge and passion. He and Sweeten would be a formidable team under Downes’ direction. The final question is also the most difficult to answer: Can the PDGA expect to move beyond this single entity model towards a traditional “league” structure where spectators pay for admission and the JomezPros and CCDGs of the world pay for the right to film? For now, it makes sense to have advertisements on all videos dictated by the PDGA, as they would control sponsorships and would pay the live and post content producers. Just as the MLS survived its early years through careful control of costs and players, the PDGA would grow the professional game by ensuring that each stop on the Pro Tour was covered in uniform, high quality ways. But the goal is certainly bigger. Marketing the game will always be a part of the PDGA’s mission. Selling advertising need not be. This inflection point from taking advertising dollars to taking media dollars is years in the future. As noted above, MLS still does not have pure free agency 23 years after it started. I don’t believe it will require 23 years of a successful Pro Tour to make this transition, but Jomez is going to need more than 100,000 subscribers to convince even the Arby’s of DFW to give them some money. We will know the time is right when Jomez complains about how much the PDGA is paying them and Ian Anderson quits his day job. In 2018, it felt like the enterprise of professional disc golf was coming together. There were two pro tours, two consistent channels for high quality post-produced video, and the feeling that the higher tides were lifting all boats. Everyone was pulling in the same direction. The move away from a unified system should be reversed and then some. A single-entity disc golf pro tour is the best way, for now, to move the sport forward in these formative times. Comments on "Steve Dodge and a Single Entity Theory of Pro Disc Golf"